Vietnamese Deputy Minister of Industry and Trade Tran Quoc Khanh said the event aims to discuss ways to boost cross-border trade between Vietnam and Laos, towards stability, sustainability and effectiveness and in line with the two countries’ special neighbourliness and the current regional and global situation. In 2017, trade turnover between the two countries reached nearly US$936 million, up 13.6 percent from the previous year. In the first eight months of this year, bilateral trade rose 12.9 percent to nearly US$656 million. 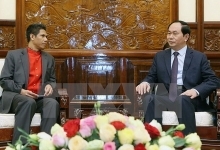 In recent years, Vietnam and Laos have signed numerous trade agreements and memorandums of understanding in investment, transport, defence-security, agriculture, creating legal basis for promoting their economic and trade ties, Khanh stressed. 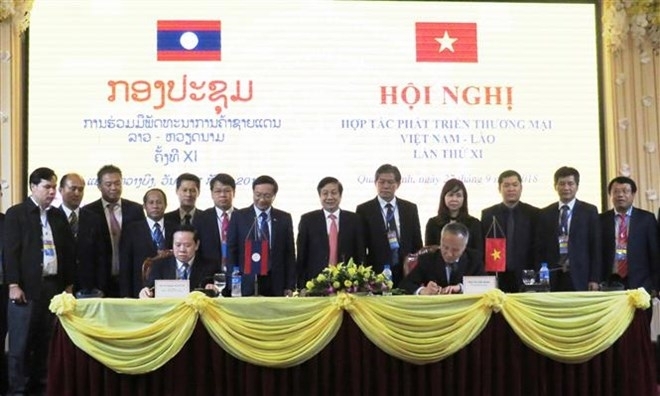 Bounmy Manivong, Deputy Minister of Industry and Trade of Laos, said the import-export departments of Vietnam and Laos have worked closely to organise fact-finding trips at some border gates in order boost, encourage and facilitate trade development. He suggested Vietnam and Laos discuss and reach consensus on policies and regulations to facilitate the development of border trade, while paying attention to developing trade infrastructure, border markets, and working together to address related issues. The two sides need to coordinate to expand the scale of border goods exhibition, organise meetings to share experience, while creating conditions and opportunities for meeting, exchange and cooperation between the two countries’ businesses, he added. 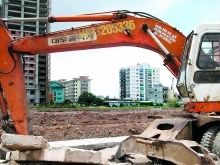 At the conference held by Vietnam’s Ministry of Industry and Trade and the Ministry of Industry and Trade of Laos, participants reviewed outcomes and shortcomings in border trade activities while discussing measures to ease difficulties such as import-export licenses, administrative procedure, and transport and trade infrastructure in border gate areas. Within the framework of the conference, a display area for the products of the provinces along the Vietnam - Laos border was opened in Dong Hoi on September 26. There are 22 booths from 40 enterprises of Vietnam and Laos, including 11 booths of Lao enterprises with wooden products, home appliances, electronics, rubber products, rice and sugar. Meanwhile, the 11 Vietnamese booths exhibit cassava starch, pepper, curcumin powder, sweet potato, peanut oil, citronella oil, coffee, medicinal herbs, clean vegetables and Phuc Trach pomelo. Vietnam-Laos borderline stretches as far as nearly 2,337 kilometers, through ten Vietnamese and ten Lao provinces.